Hello Hello! How do you do? My name is Nikki and it is a pleasure to meet you. 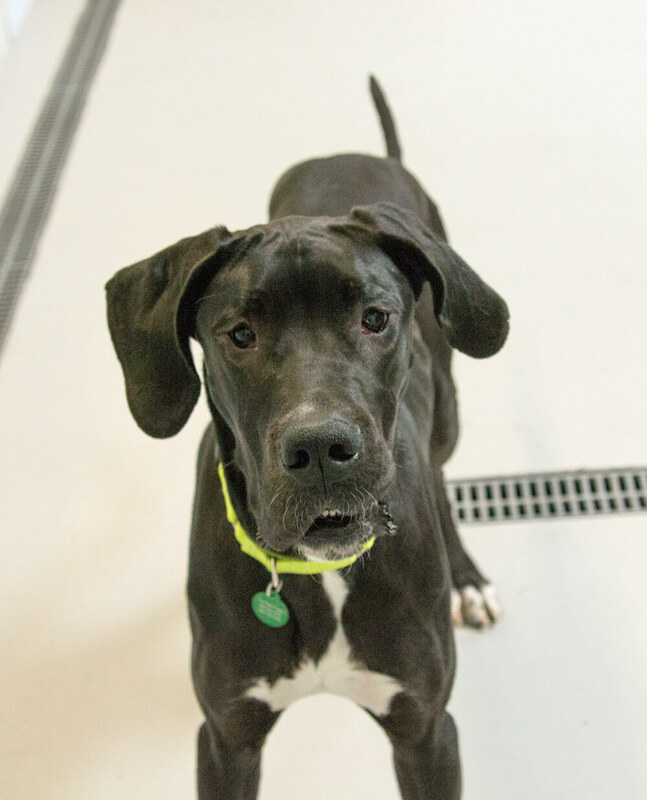 As you can tell by my size, I am a 7 month old Great Dane who still has a little growing to do. I can be shy at first, but once I warm up I will lean in to get lots of back pats and love. You see, I am still a little nervous here at the shelter and the city is a little much, so I am looking for some rest and relaxation in a foster home! That way, I have a quiet environment to really open up and blossom into my full potential. 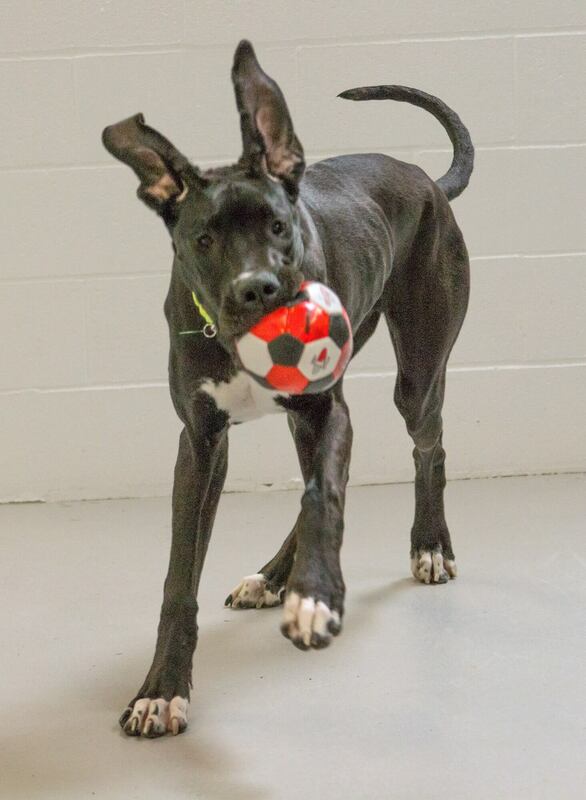 I met other doggies here at the shelter and was very polite and I bet if there was a younger dog in the home, I would be down for some play time for sure! They might even help me to build my confidence too! I even stayed clear of the office kitty and could be with one too. Did I mention I absolutely LOVE fetch? You have to make sure you find a ball big enough though! My foster home should be an owned home in a quieter neighborhood with kids over 13. Are you ready to relax and play together? Available for foster or adoption, fill out an application and email info@pixieproject.org for more details!